For the last 25 years, The Lynch Foundation has focused its efforts on assisting educational and cultural programs, in addition to historical preservation. When Carolyn Lynch and Ken Burns met in 2009, it seemed only a matter of time before the foundation would pledge support to his work through The Better Angels Society. Carolyn and Ken were both receiving honorary degrees from Boston College, and the two immediately connected about their shared passion for history and education, as well as Carolyn’s (and her husband Peter’s) love for movies. When Ken approached The Lynch Foundation in 2011 to support the documentary Vietnam, along with the Ken Burns Digital Library and Mobile Classroom, The Lynch Foundation thought it was an ideal match. The initiatives would support the foundation’s focus, highlighting important historical events and providing educational and cultural opportunities. That was confirmed when Carolyn, Trustee Nancy Coolidge and Executive Director Katie Everett visited Florentine Films in Walpole, N.H., and saw screenings of the upcoming films The Dust Bowl and The Roosevelts: An Intimate History. They were moved by both and saw the impact that these, and other films, could deliver. Through the years, The Lynch Foundation has assisted organizations because of their missions, as well as their people – from leaders down through the entire staff. Carolyn and Peter believe in people who through their vision and dedication can impact so many. Ken Burns and the Florentine Films staff certainly embody that. The Foundation recognized the importance and impact of these projects and approved a three-year grant totaling $750,000. In supporting Vietnam, The Lynch Foundation believed that a documentary about arguably the most significant event in the second half of the 20th century had the chance to reach and educate tens of thousands of people. In supporting The Digital Library and Mobile Classroom, The Lynch Foundation saw the power of delivering the work of Ken Burns to the 21st century, and the tremendous educational opportunities associated with it. The Foundation continues to emphasize support for the integration of technology into the classroom through various initiatives. Teachers are always seeking compelling, reliable sources and materials that can be taught in the classroom, and for years they have used Ken Burns’s films to educate by bringing to life history and important events. The new website will allow them to have access to supplemental information that uses the latest technology to better educate and engage their students. 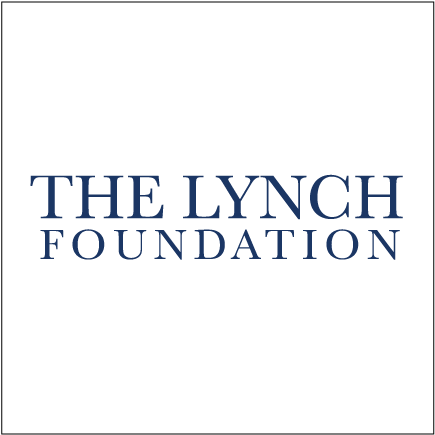 The Lynch Foundation views its philanthropic efforts as an investment, choosing charities that have innovative ideas, strong leadership and the ability to multiply its impact. The Better Angels Society, with its support of film, history and education, has proven to be such an organization. On behalf of The Lynch Foundation, I want to add that we are so thrilled to have assisted in their mission. We consider it a special opportunity to be a part of the creation of content that informs, educates and engages so many. Peter Lynch serves as President of The Lynch Foundation alongside his daughters Mary, Annie and Elizabeth as trustees.